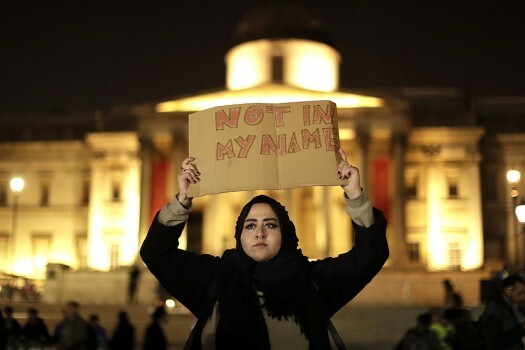 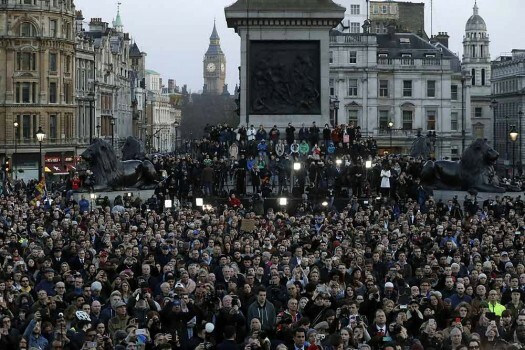 A woman holds up a sign at a vigil for the victims of Wednesday's attack, at Trafalgar Square, in London. 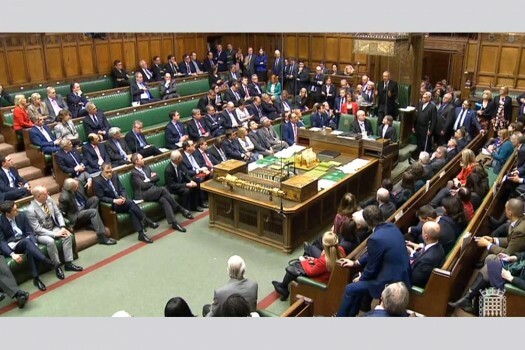 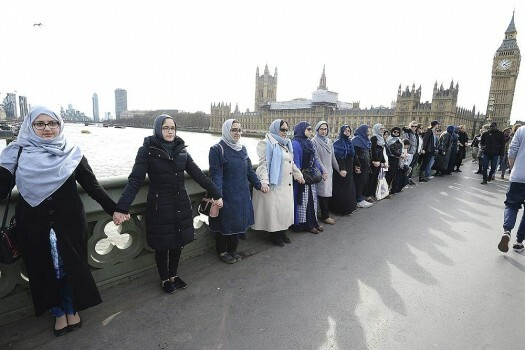 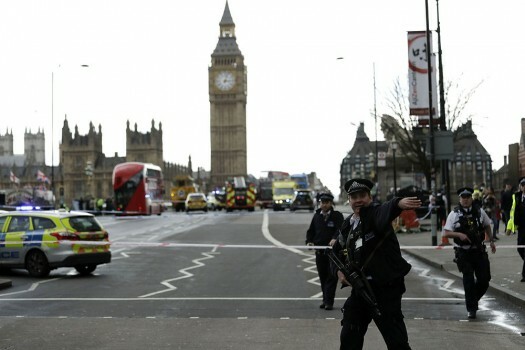 MP's in House of Commons, London after a major security alert at the Palace of Westminster in London. 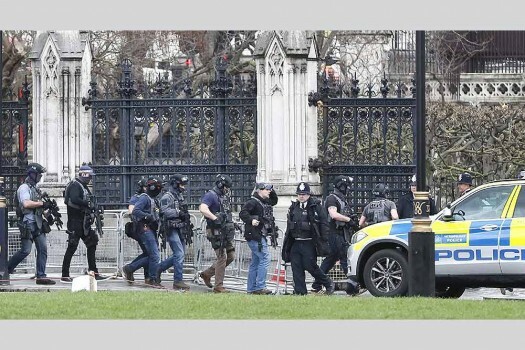 Armed police officers enter the Houses of Parliament in London after the House of Commons sitting was suspended as witnesses reported sounds like gunfire outside. 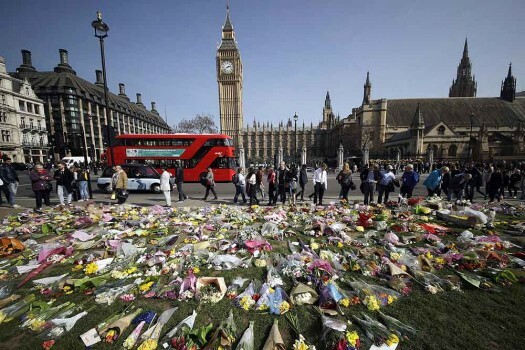 An Air Ambulance comes in to land as emergency services attend to injured persons outside the Houses of Parliament, London. 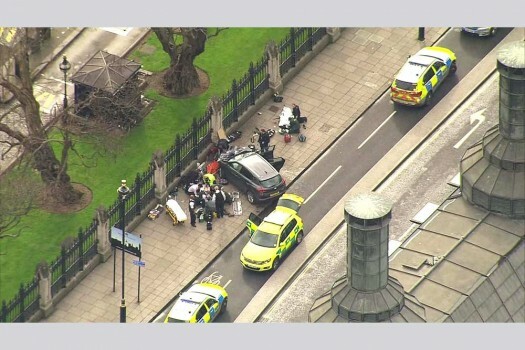 Emergency services at the scene outside the Palace of Westminster, London. 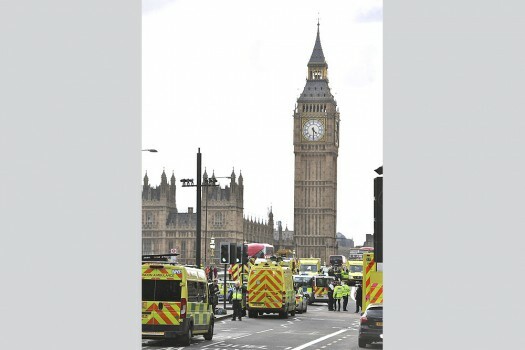 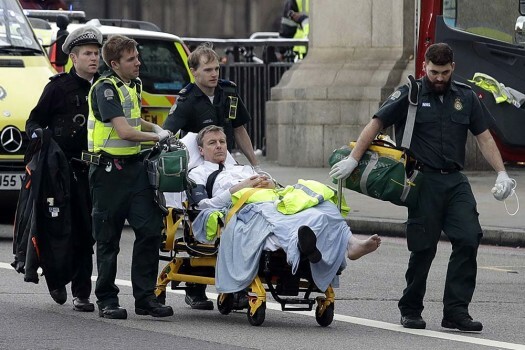 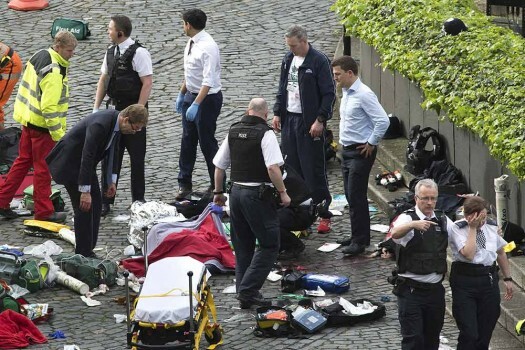 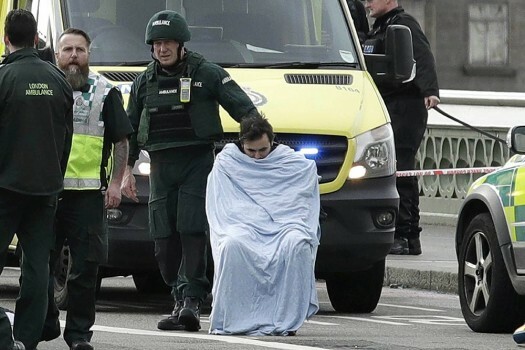 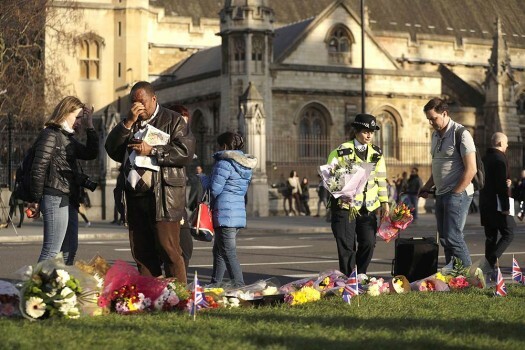 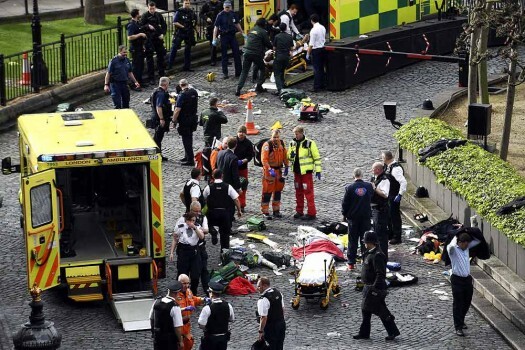 Emergency services staff provide medical attention close to the Houses of Parliament in London. 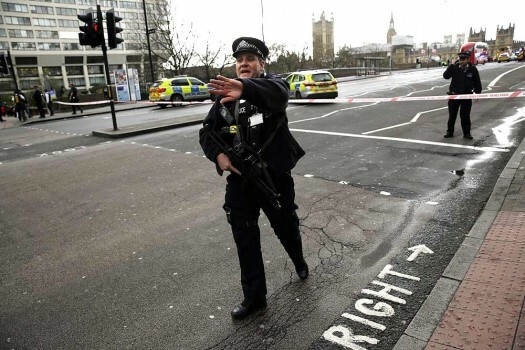 Police secure the area close to the Houses of Parliament in London. 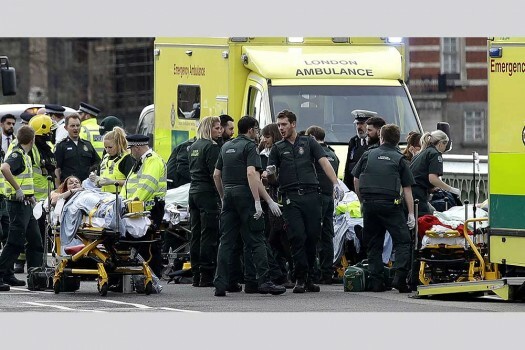 Conservative MP Tobias Ellwood, left, stands amongst the emergency services at the scene outside the Palace of Westminster, London.